Welcome to the Learning Lounge! Another new school year and my second one here ! More lovely new books to enjoy. 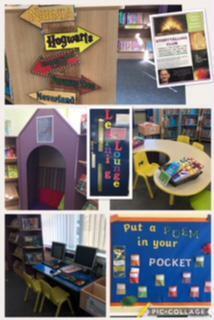 New clubs and competitions to spread the joy of reading. Did you know that there are lots of audio books available to borrow on line if you have a library card? Tom Gates is definitely there !! Here is this terms link to offers from the Book People. A Visit www.thebookpeople.co.uk/school-fundraising and enter your school’s unique Fundraising Code. 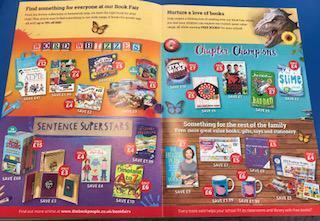 B Shop our extensive range of books, gifts, toys and stationery. Your school earns 10% of your order in School Savings. SEE MRS SKEVINGTON FOR AN ENTRY FORM . Blurb competition. Can you guess the book and author? Picutre competition. Can you tell us which book the picture comes from? All the children have to do is read - as much as possible - and continue to complete the online AR quizzes! The club is based on the number of words read - the target to reach is one million words for Years 4, 5 and 6 and 100,000 words for other years. Ultimately there will be a prize for all those who reach the target, as well as a little something for the class who have read the most words at the end of the academic year! H ave you caught the Whitton Reading Bug? We have a winner and the design is being processed . 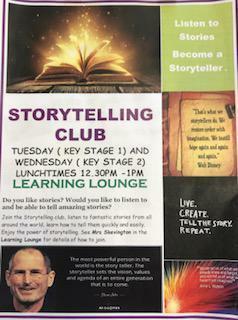 Come and listen to stories from around the world and learn how to become and amazing storyteller yourself!